Putting mirrors in a house serves as a decorative and functional element. Small spaces benefit from well-placed mirrors since they create an illusion of space. Mirrors reflect natural light and illuminates lights from lamps, candles, and other light fixtures. A large mirror can be made as a statement piece in a room while beautiful framed wall mirrors can be used as design element. Wall mirrors are available in different sizes, shapes, and styles. 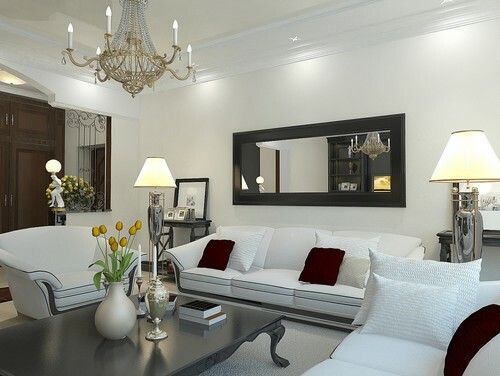 Before you incorporate a wall mirror in a room, you must first think about the area which the mirror will occupy and the design should complement the style of the room. 1. Measure. Measure the dimensions of the wall mirror. Check if the mirror will fit the wall you have in mind. Measure how high you want the wall mirror off the floor and where the top of your mirror will be. Mark these points. 2. Find the studs. Studs are the vertical structural members which provide a stable frame to a wall. This is where you will place your nails, hooks, or screws. Attaching your anchor points to studs provide a strong foundation for the wall mirror. To find the studs, tap the walls in the area within the points which you have marked in Step 1. While tapping, you will hear solid and hollow sounds. The solid sound means there is a wall stud. 3. Attach the anchor points. Anchor points can hold different types of mirrors. Nails are used in hanging lightweight mirrors while screws are used for heavyweight mirrors. Use brackets when the wall mirror has no hanging wire. Make sure that the anchor points you are using can support more than the weight of the mirror to ensure that the mirror will be secure. Mirrors are delicate and you wouldn’t want to come home and see your wall mirror on the floor, possibly cracked, or damaged. 4. Hang the mirror. Find the center point of the hanging wire at the back of the wall mirror and use it as guide in hanging the mirror. Make sure that the mirror is centered. 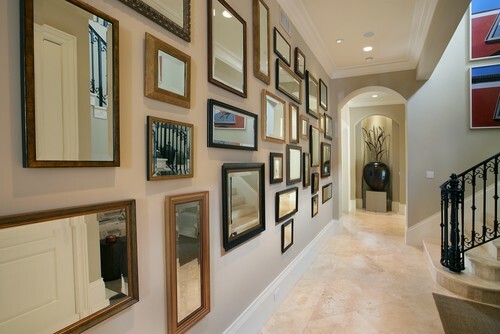 MirrorLot provides large, custom-sized wall mirrors for different areas in the home and office. Different beautiful frames are available to choose from and to match anyone’s personal style. Check out the website at www.mirrorlot.com to browse their extensive product line.